First step in the wine journey. Vineyard workers are engaged 12 months a year in looking after over 400 000 grape-vine scions, that stretch over 100 ha (60 ha in Urlaţi and 40 ha in Pietroasa). It is hard work, which must be done whatever the climatic conditions: sun, wind, rain, cold. Each grape-vine scion is being taken care of from the moment it is planted to the beginning of its abatement. Throughout the year, there are various activities in the vineyard, starting with the fructification cutting and ending with preparation for hibernation. During the early months of the year, in the vineyard take place the fructification cuttings, supporting system appraisal, and others. 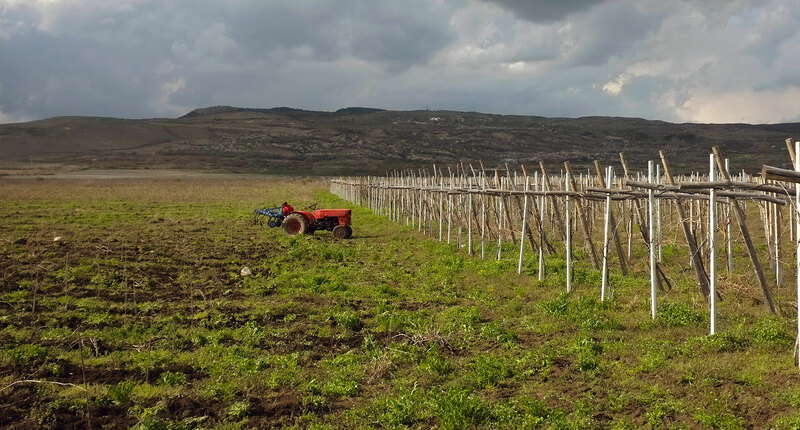 Working in the vineyard attains its peak in the spring, with the pruning or binding of the vines and offshoot weeding. Afterwards, during summer, work is continued with tending of the sprouts, phytosanitary treatments, norming the number of grape-clusters on each vine, weeding, vine manoeuvring. The end of the summer in the vineyard is marked by the entrance of the grapes in mellowness; red wine grape varieties start to catch colour through accumulation of anthocyanin, while wine grape varieties start becoming pellucid. At this moment grape samplings begin in order for a physico-chemical analysis to be done to determine the unfolding of the ripening and implicitly the beginning of the ingathering.